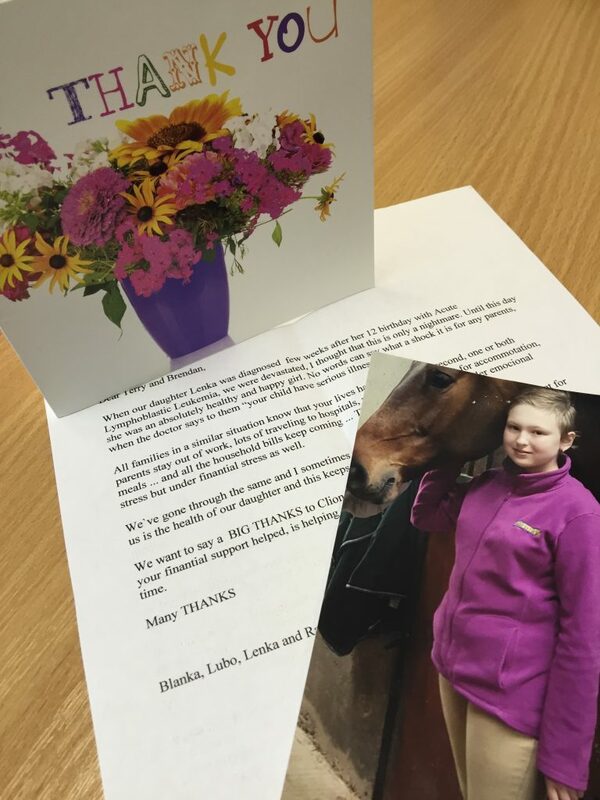 We received this lovely letter and photos from the Luptakova family last week. We were able to provide them with financial assistance earlier in the year to help them care for their 14 year old daughter who was diagnosed with Leukaemia in 2014. Her mum writes ‘No words can say what a shock it is for any parents, when the doctor says “your child has a serious illness..”. our live’s changed in a second, one or both parents stay out of work, lots of travelling to hospitals, medical expenses, cost for accommodation, meals.. and all the household bills keep coming in.. we are not only under emotional stress but financial stress as well’. This is the hard truth that nearly 1400 families experience each year in Ireland, we’re here to help relieve and prevent any unnecessary stress to these families. Thanks to the Luptakova’s for the very kind letter. 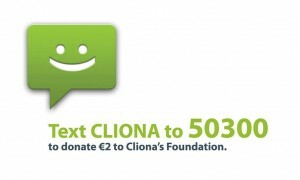 Text CLIONA to 50300 to donate €2.